Delicate red wines are better chilled than heavy red wines. 1 What Kind of Wine With Baked Chicken Parmesan? You may not think of red wine when you think of a cool, refreshing summer drink. But some red wines can be chilled. Chill fruity, delicate red wines with few tannins instead of heavy, full-bodied red wines. Chill fruity red wines between 54 and 63 degrees Fahrenheit. The more delicate and fruity the red wine, the cooler it can be chilled. Pinot Noir is best known for its delicate taste and crisp acidity. The flavor of Pinot Noir is often described as fruity, spicy and floral. Pinot Noir grapes are grown all over the world but the wine is generally associated with Burgundy region of France. Beaujolais is another French wine appropriate for chilling. Beaujolais is made from the gamay grape grown in the Burgundy region of France. Beaujolais is considered a very fruity, dry red wine. This wine is generally consumed while still young, which means it is not aged for a long period of time in barrels. Rioja wine is made in the La Rioja region of Spain, near the French border. This wine is made from a blend of four types of red grapes: Tempranillo, Garnacha Tinta,Graciano and Mazuelo, Tempranillo and Graciano grapes give the wine a soft, fruity flavor while Garnacha Tinta adds a peppery flavor. Mazuelo is used to give color and weight to the wine. Another Spanish wine that makes a nice chilled wine is Manzanilla. Manzanilla is made in the Jerez area of Spain and is often described as salty and dry. Manzanilla is a very fragile sherry wine aged under a thin layer of yeast, known as flor, that develops on surface of the wine while it is in the barrel and prevents it from oxidizing. Bardolino is a light, fruity red wine made from Corvina grapes grown in the Veneto region of Italy. The wine is dry with hints of cherry and a touch of spiciness, according to the Life In Italy website. Like most light, fruity wines, it is only aged for 12 months before being bottled. Another Italian wine suitable for chilling is the Lambrusco, made from Lambrusco grapes in the Emilia-Romagna region between Veneto and Tuscany. Lambrusco is described as a fizzy, fruity wine with a slight acidity. The wine is not as carbonated as champagne or Prosecco, but has light bubbles referred to as frizzante, according to the Into Wine website. Malbec is a black grape that originally grew in France but is now better known as an Argentinian wine and grape. The grapes contain fewer tannins when grown in Argentina instead of France, according to the Easy Wine website. Malbec wine is a mid-bodied wine that has a spicy flavor with hints of cherry, plum raspberry and even chocolate. A North American wine appropriate for chilling is Red Zinfandel. Red Zinfandel wines are made from Zinfandel grapes grown in California. 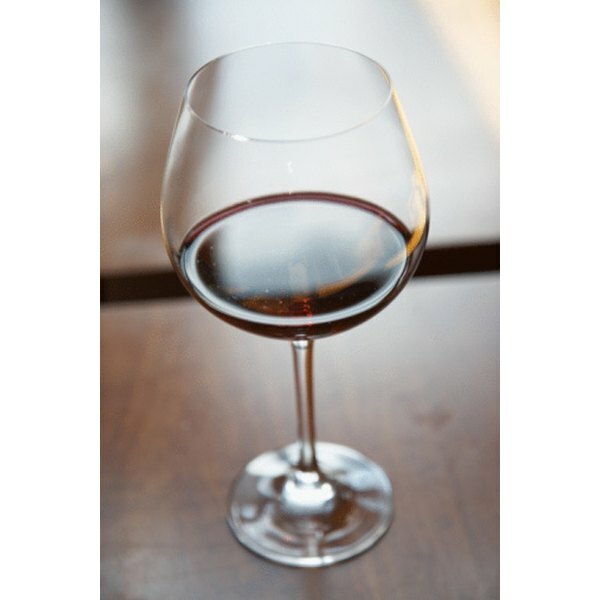 Zinfandel wines have a fruity yet spicy flavor with hints of dark cherries. Heavy, bold red Zinfandels are not good cold, so light and delicate red Zinfandels are better for chilling. Does a Chilled Champagne Bottle Need to Stay Chilled?